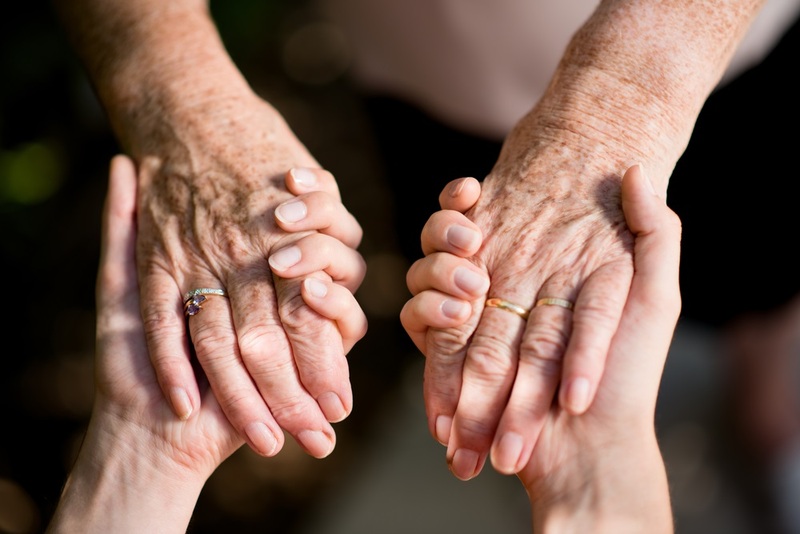 Caring for a loved one with dementia? Looking for tips for communicating with someone living with dementia? Try taking on this advice from some of our experienced carers. When people think about dementia, their immediate attention is drawn to the idea of memory loss. While this is a major sign of dementia and one of the primary symptoms people living with dementia will experience, there are numerous other ways in which this degenerative brain disease impacts how we react to the world around us. It is worth noting that not all these dementia communication techniques will work for everyone. As this disease impacts the brain and every brain is different, people are affected differently. However, that doesn’t mean you should be afraid to give them a go either. A person living with dementia may really struggle to fix their attention onto someone attempting to communicate with them. To help make this process easier, limitation of distractions is important. Reduce noise and visual stimulus. A nice, quiet place free of distractions is the perfect place to try and talk with someone living with dementia. A familiar setting is also recommended. Somewhere new may distract or leave them asking questions. Once you have their attention, it is important to recognise that for some people it may not be easily held. You should make efforts to ensure their focus remains fixed on you. Using a person’s name is often a strong way of keeping their mind focused on you. As is engaging through touch, such as a gesture on the hand or arm, and remaining in their line of sight while you have your discussion. Visual prompts, such as photos and hand movements, can also be useful tools for holding attention. Communication with someone living with dementia isn’t just about how things are said, it's also about what is said. Language is very important. It can be much harder for a person living with such a degenerative disease to register and take on the information presented to them, which means the simpler the wording, the easier it will be for them to absorb. Keep sentences simple and language basic. If you have to question any part of what you are saying, or think it may need follow up questions or reiteration, it isn’t going to be easy for someone living with dementia to understand. It’s also important to use language they are familiar with and resonates with them. How would they normally have offered a cup of tea, for example — A cuppa? Shall I put the kettle on? Tea? People with dementia might find it hard to keep information stored in their head but, especially during the early stages of the disease, that doesn’t mean they can’t retain anything. If you have a task that needs to be carried out, such as visiting the doctors, take instructions step by step instead of laying a plan out in its entirety. For example, carrying on with a doctor’s appointment, start by getting ready. Ask them to find their coat. Then, once that is complete, put on their shoes. Once ready, ask them to follow you to the car. Continue the process in simple and easy steps. One thing at a time is far easier to understand when living with dementia and can avoid issues such as getting muddled or mixing up the order of steps that need taking. Dementia is a progressive disease, but it still has ebbs and flows that match a person’s mood, energy levels, other health concerns, etc. Basically, we all have good days and bad days and those living with dementia are no different. One of the top dementia communication techniques people rarely consider is simply waiting. Due to the nature of the condition, a person is unlikely to improve generally unless they are receiving treatment, but they may find it easier to communicate on some days than others. Communication in a positive environment can be greatly beneficial to a person with dementia. Strain and agitation can aggravate symptoms of confusion, disorientation and concentration, as they struggle to remember things they simply can’t or try to work out problems their brain is incapable of. If this happens, it can not only be upsetting for both parties; it also makes communication difficult, as stress levels rise and focus degenerates. A calm and positive atmosphere is critical to the avoidance of this sort of scenario. Keep things relaxed, don’t dwell on communication that cannot be carried out properly, and offer supportive and encouraging words when the individual begins to show signs of difficulty. For many, memory loss as a result of dementia is like a photo album, where the newest pictures are slipping out of the bindings, while the older ones remain in place; stuck in place with age-old glue. The disease affects brain cells, which means the weakest neurological pathways are the first to go. This is why short-term memory is so badly affected. Older memories, though, can remain ingrained for a long time. If you are simply trying to engage in conversation purely to have a nice chat with a someone with dementia, you’ll find this dementia communication strategy can be quite effective. Talk to them about old memories. Because of the stronger brain cell pathways, they’ll be more like to recall the events clearly and be able to talk them over in detail. Important and significant life moments will always be held strongest, as they’ve been recalled countless times, creating many neurological pathways that are harder for dementia to damage. Depending on how far the disease has progressed, these may be memories from months, years, or even decades ago. When it comes to dementia, It’s important to keep up communication not just for treatment, but better quality of life and overall happiness, too. At Abney & Baker, our goal is not only to care for people living with dementia, but also help them live their life to the fullest. If you are looking for dementia care support where the care is truly genuine, get in touch with us today.